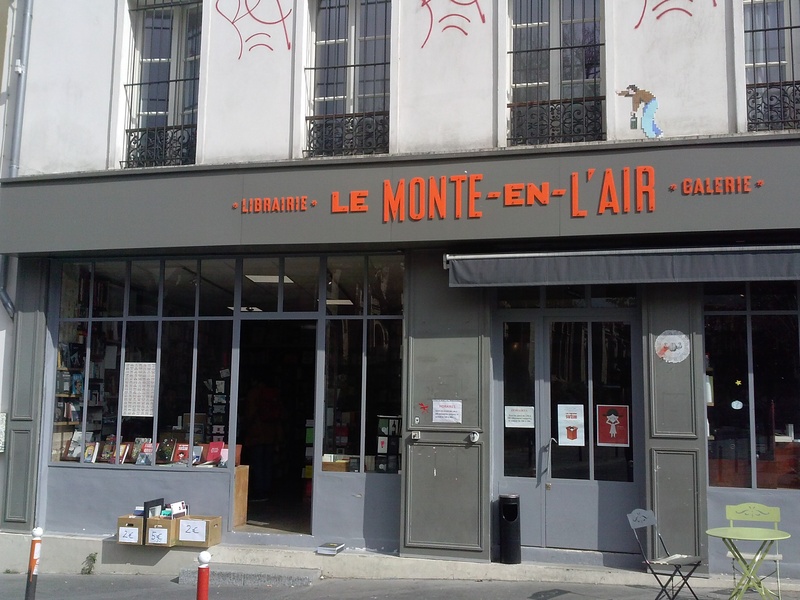 Destinations: Le Monte-en-l’air Bookstore and Gallery in Paris | Comics Vacation! 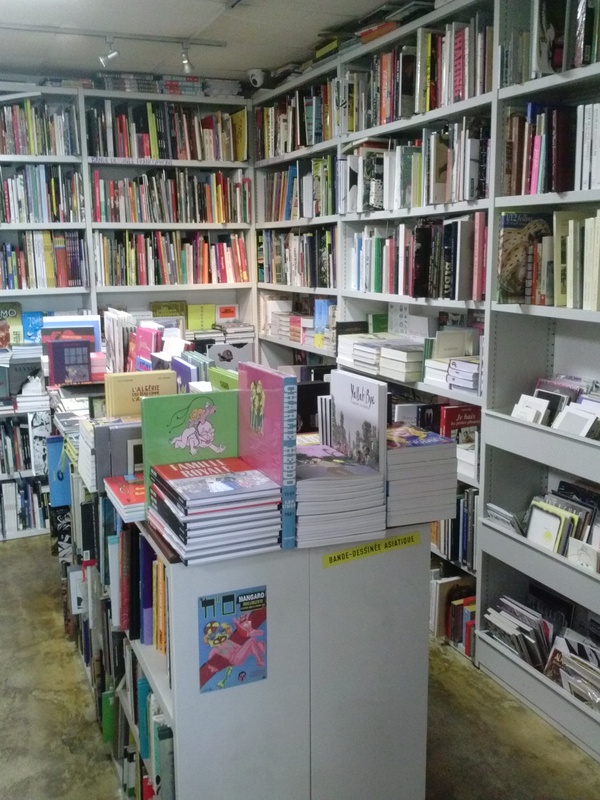 If you’re looking for French-language comics in Paris you have a lot of options. 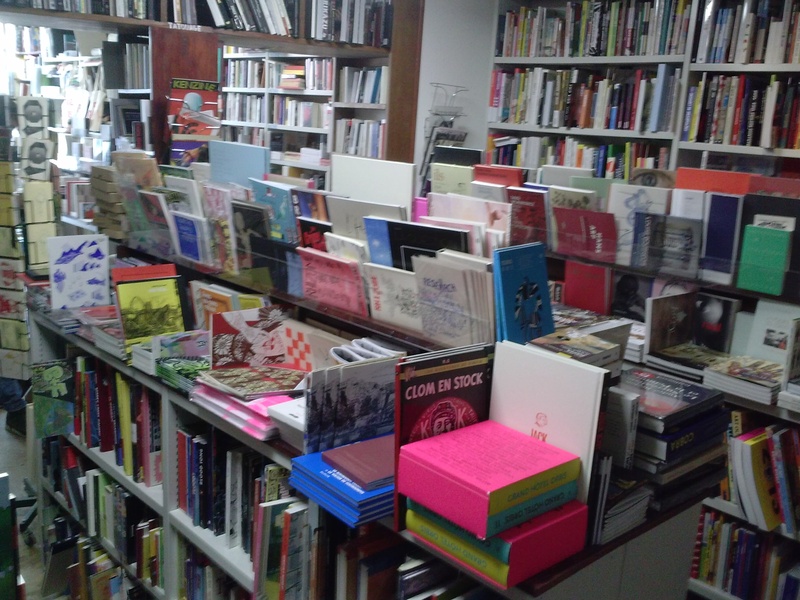 There are bookstores everywhere, and most (if not all) of them carry comics. There are also a myriad of bande dessinée specialty shops and boutiques, a whole district devoted to such shops (Rue Dante), as well as flea markets and antique malls. The options can be a bit overwhelming, and would definitely require more than one little blog post to capture the landscape. 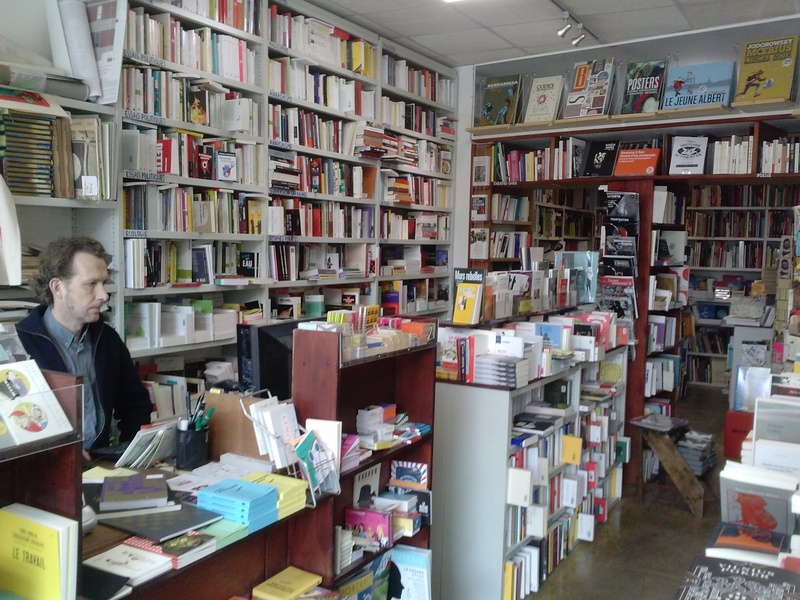 My most recent pass through Paris was brief (and my suitcase space is limited), so I chose to focus on a small press boutique that came highly recommended to me by my local friends. As a means to focus my endeavor, I was on the hunt for comics and zines of the small press and short run variety, and Le Monte-en-l’air did not disappoint. Just look at all these comics. I saw briefly the print, art, and children’s book rooms, but did not have the full day needed to comb through the massive inventory of this shop, so I headed straight for the comics room. Even here, I had to set perimeters—focused searching—in order to make it out with finances intact. This room was stuffed to the gills with one of the greatest concentrations of Europe’s best small press comics and zines I have seen yet. Not to mention, they have a killer blog. Definitely leave yourself some time for this place. For quick reference to the above-mentioned spot, check out the itinerary section of the blog.